The NanoHawk in an indoor intelligence platform designed and built on a government R&D program with the French Armament to provide the Special Forces indoor capabilities during intervention. It employs peripheral avoidance sensors and artificial intelligence to fly in congested spaces. 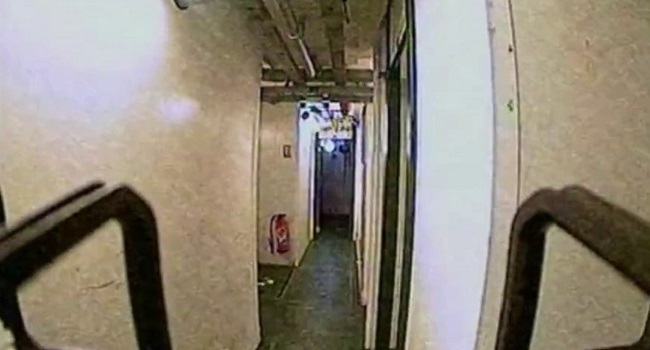 Narrow corridors, congested spaces, doors, windows. NanoKawk is proven and tested to fly in any CQB supporting police and special forces for indoor tactical intervention. The different intelligent flight modes provide unique easy operating for endusers. 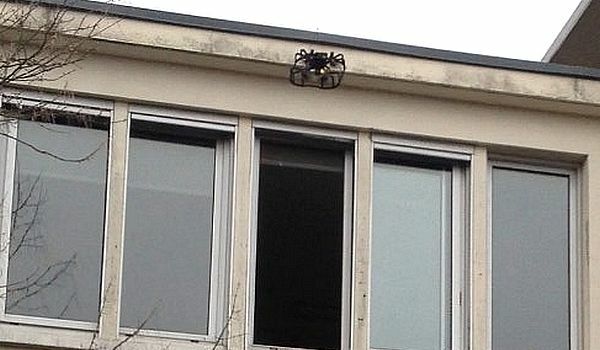 Tactical operation becomes smarter in sending the drone through an open window to access inside a building while the operators climb, or create any diversion during intervention. The NanoHawk can easily access any floor in a skycrapper or by the roof, land and provide visual information on the target. The NanoHawk is integrated with K9 units for safer and more efficient indoor intervention. While the K9 dog may detect any unseen danger with the dog’s flair, the drone will provide an eye kept on the potential target. 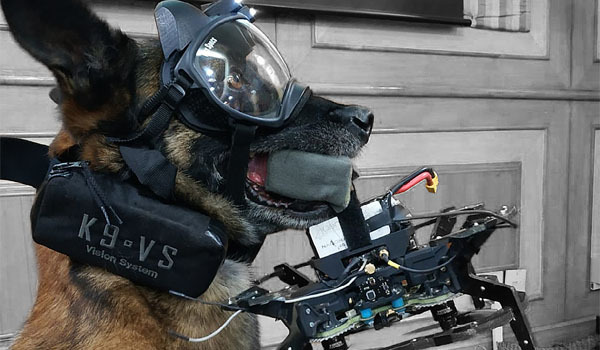 The dog can drop the drone inside a building. 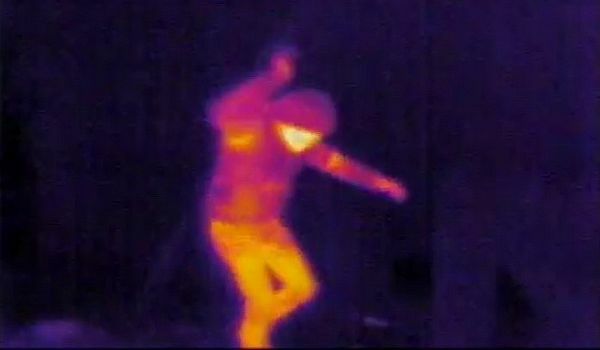 The NanoHawk is equipped with thermal sensors that provide detection of threats indoor. While the UAS will operate in dark environments, where it is difficult to identify threats, the nanohawk helps end users detect easily any danger ahead. The NanoHawk has been designed to fit the soldiers body-worn equipment. 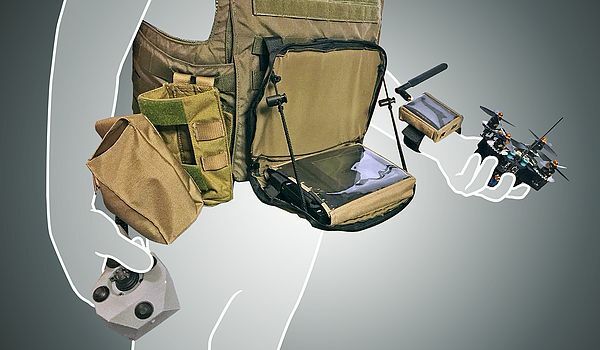 The main monitor is fitted in the armour vest and the one hand controller provides easy control of the platform, as the other hand is always kept on the soldier gun. 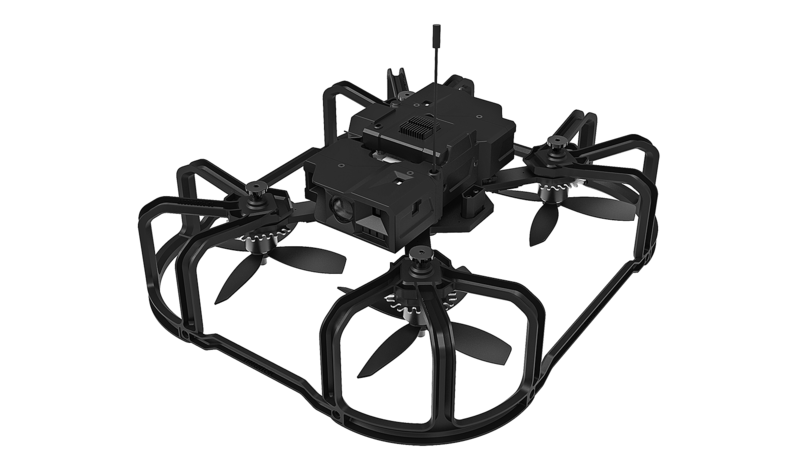 The NanoHawk is designed to fly in dark conditions inside a building. It is equipped with low light cameras that allows intervention when power and light has been cut. 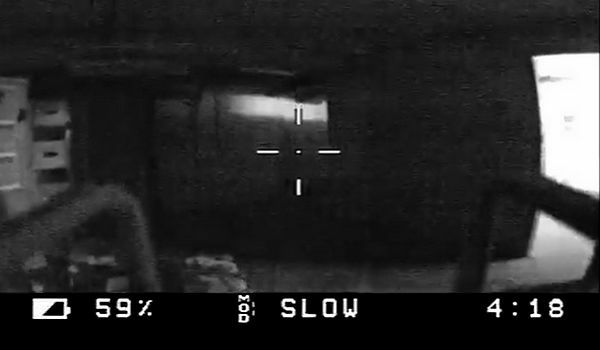 Laser pointers equipment with specific bandwidths to design targets only visible by operator's night vision goggles are also integrated on the platform.